Now when it comes to baking, everything changes… You need to measure your ingredients precisely. There is pretty much zero wiggle room for temperatures variance and you will always want to follow the preparation method. While there is always room to share your creativity with flavor profiles, you need to view baking more of a science than an art. And because of that, you will always want to have the right tools. Below I share some essential baking tools and equipment that you will want to stock up if you want to be a successful baker or pastry chef! 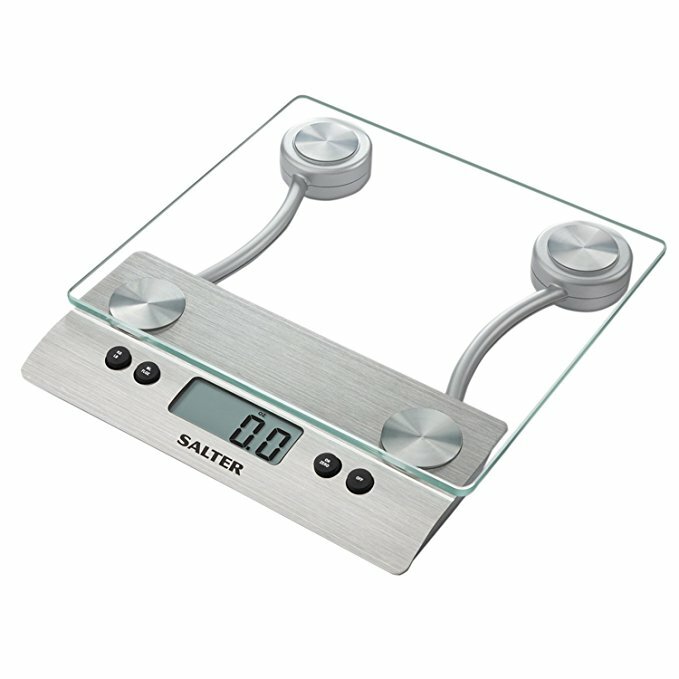 Salter Kitchen Scale – A digital kitchen scale is a must in the sweet kitchen as many ingredients in baking recipes are listed by weight, rather than volume. A good kitchen scale will be able to weigh at least 10 pounds of ingredients, tare (zero out) the weight of whatever container you are using to hold your ingredients, and change between metric and standard units. I also like the ones with a glass or stainless steel surface making it easy to wipe down. Cuisipro Measuring Cup and Spoon Set – For those recipes that are written in volume rather than weight, you will want to have a good set of measuring cups and spoons. The Cuisipro set is great because first and foremost the construction is excellent and the measuring spoons or cups will not bend. In addition, because they have an elongated shape, they are easy to stick through a jar. OXO Angle Measuring Cups – When measuring liquids, a volume measuring cup with a pouring spout is key. Traditional measuring cups are round and the measurements are printed on the side. So once you pour the liquid that you are trying to measure, you then have to bend down at eye level to make sure you have the right quantity and then adjust accordingly. The OXO angled measuring cups are oval and have an angled surface inside the cup with the measurement marks. This allows you to accurately measure from above the first time around! I love my OXO measuring cups so much that I have their three piece set, comprising the one-cup, two-cup, and four-cup sizes. In addition, I have the mini cups that are great for measuring small quantities of liquid up to four tablespoons. Parish Magic Cake pans – When buying cake pans,, I advise against using nonstick pans. Yes nonstick pans may seem practical but they tend to be darker in color, which attracts more heat and bakes the edges and bottom of your cakes faster and darker than the rest. So a simple, non-coated cake pan will yield better results. And it will last longer and be less expensive! 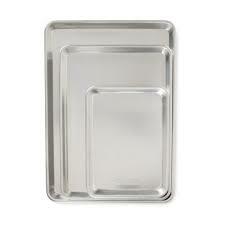 I recommend buying a couple of eight or nine-inch cake pans as those are the sizes most commonly used. Nordicware baking sheets - These baking sheets are made of aluminum and thus conduct heat very evenly which translates to very even baking. Because they have a reinforced rim, they never will warp. I've own mine for over 15 years and, while they show their wear and tear, they perform just like they did the day I bought them. I suggest getting two half-size sheet pans and at least one quarter-size sheet pan. Silpat - These non-stick baking mats allow you to turn any pan into a non stick surface and save time cleaning up. You won’t have to use parchment paper or butter your baking pan ever again! Made out of a fiberglass mesh and food grade silicone, it withstands temperatures up to 482°F and distributes heat evenly. Norpro pastry brushes - Whether to brush a glaze on a tart or the excess flour off dough, pastry brushes are inexpensive tools that you must have in the sweet kitchen. I like to have three brushes: I use one to dust flour or dry ingredients off my dough, one for brushing butter (and one for brushing glazes and syrups. I tend to buy wood handles ones that I can write on the handle with a sharpie what I use it for and making sure the same brush gets consistently used for the same purposes. Pastry/dough scraper – A pastry dough scraper is a very inexpensive tool that allows to scrape down a mixing bowl more effectively than a spatula. In addition, it lets you gather flour on a work surface and also allows you to easily portion the dough. There are two types and, they are so inexpensive, I recommend getting one of each. 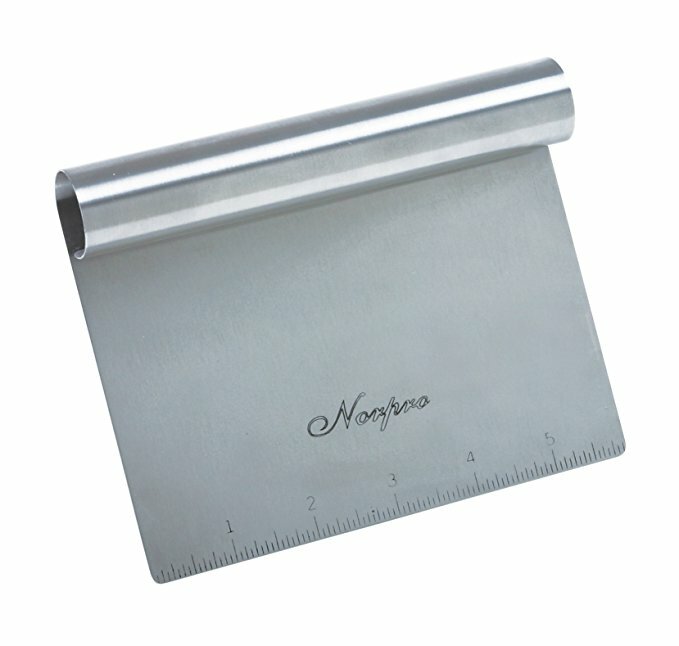 There is a metal one that allows you to gather ingredients in a cutting board as well as portion dough out. I use the Norpro. And then there is a plastic one that tends to be more flexible and thus ideal for scraping down a bowl. Ateco makes great plastic ones. Ateco offset spatulas – Offset spatulas another must-have in your baking tool kit! They are great for filling and frosting cakes. Because it is always good to have different sizes for different tasks, I recommend the Ateco professional offset Spatula set with the 4 1/2 inch, 7 3/4 inch and 9 3/4 inch blade lengths. Ateco pastry wheel - A pastry wheel is a very handy tool for cutting doughs in a straight line in a very time efficient way. I’ve had my Ateco pastry wheel for more than 15 years and it still works just like it did when I got it for the first time! Ateco Rolling pins - There are basically two types of rolling pins: a traditional roller type and a tapered, French-style pin. The traditional type has two handles on each side and often has bearings making the rolling very comfortable to roll. But because it tends to be shorter in length, it often can leave roller marks on your dough. In addition, it is not as easy to maneuver as you are always holding the ends. With the tapered French style pin, you are able to place your hands right on the pin closer to the center. This allows you to maneuver the pin more easily and apply pressure more evenly. 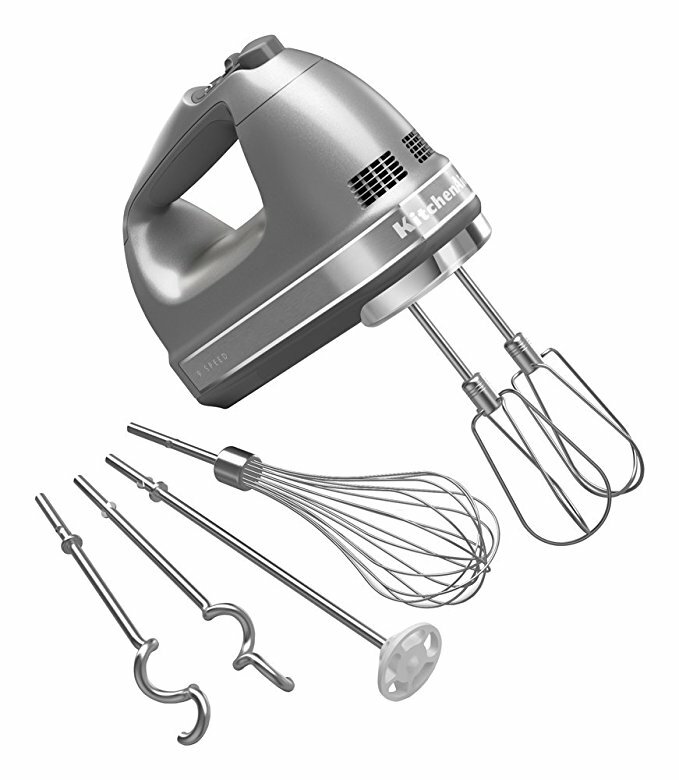 Rosle Whisks – Whisks are essential in the pastry kitchen to incorporate air into eggs and to blend other liquids. I like the Rosle brand as they are quite sturdy and will last a lifetime. I have two size in my kitchen: a 8.7 inch whisk for small tasks and a larger 10.5 whisk for larger. Finally, any baker’s kitchen must have some sort of mixer! I’m partial to the Kitchenaid brand and in particular to the 6 qt. stand mixer as it is a workhorse, has enough capacity for double batches and will last a lifetime. This is certainly a big investment but if you bake a lot, it will surely payoff in the long run. The beauty of a standup mixer is that you don’t have to hold it while using it thus freeing both your hands to handle heavy bowls full of ingredients. If you are not quite ready to make this investment, consider instead the Kitchenaid hand mixer. Whatever you buy, make sure that it has a dough hook and a whisk attachment in addition to the standard mixing paddle or beaters. A dough hook is essential for kneading bread dough while a whisk attachment will make whisking eggs and heavy cream a real breeze. With these tools in hand, you are ready to bake cakes, cookies, breads, etc. With the exception of the stand mixer, most of these tools are reasonably priced or down right inexpensive.